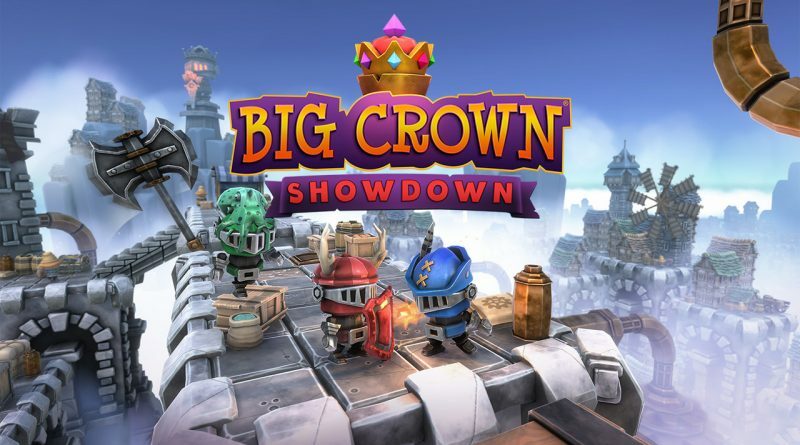 Sold Out and Hyper Luminal have announced that the multiplayer platform-brawler Big Crown: Showdown is coming to Nintendo Switch via the Nintendo eShop on December 14, 2018 for $12.99 / €12.99 / £9.99. Compete for the crown in chaotic local and online multiplayer combat, and avoid the perilous pitfalls of Kasseltoon, Zoggysands and Shivershire in a fight to the finish that will leave the whole family howling with laughter. Bash your way to victory, use tricks and traps to send your opponents flying off-course, and unlock crazy new hats to flaunt your fashion sense. Navigate the floating city of Kasseltoon, the scorching sands of Zoggysands and the icy glaciers of Shivershire across 15 crazy courses! Knock your opponents off-course, avoid perilous hazards and ascend to royalty in fast and frantic combat! Compete on the couch or brawl online in hilarious 2-4 player fights! Become a royal fashionista with fancy new hats! Horned helmets, wizard hats, squids and more – equip your armour with awesome (and unusual) accessories!